Comparing with casting, we could obtain more accurate tolerances with good properties,and no need to do machining sometimes. But usually we could only control these metal blanks within ±0.5mm. For tighter tolerance, we will have to reach after machining. Here in CFS Forge, we could serve our customers maching service with a full range of machining equipments. 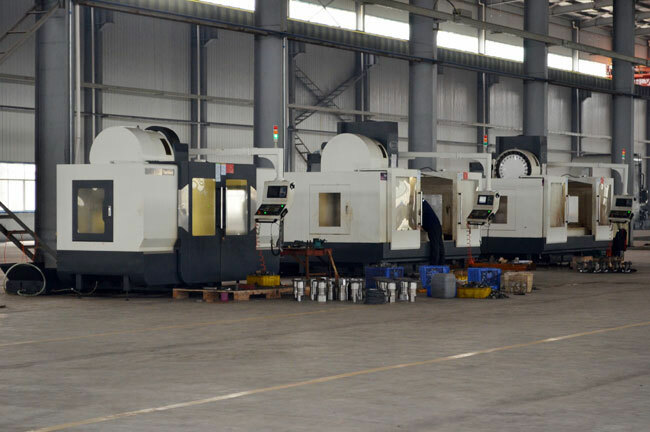 Below is a brief introduction of our main machining equipments. NC lathe is used to machine the rotating forgings by lathe tools. There are three types of lathe (horizontal type, vertical type and floor type). We widely use horizontal lathe to meet machining tolerance at IT8-IT7 and surface finish at Ra1.6μm. Besides, lathe can also be divided into 3 axes, 4axes and 5 axes, among them, 3 axes lathe is the widely used type to machine complex drop forgings. Cetre lathe is operated for small lot production because of the low machining effiency. For larger lot production, we prefer NC or CNC lathe. Grinding machine works using grinding wheel, abrasive belt as grinding tools. We could see various types in the market, like cylindrical grinding type, internal grinding type, flat grinding type, tool grinding type, ect. Milling machine is a way using milling cutter to machine parts. Milling machine can operate plane, steps, slant, trench, forming, gear surface and cutting, ect. Commonly used milling machines are vertical milling machine and horizontal milling machine. Drilling machine is hole machining equipment by using aiguille to drill holes. We often use it to enlarge holes, reaming holes, bore holes, ect. Boring machine is the machining facility to machine holes with large machining dimensions and high accuracy. It is suitable for further hole machining for drop forging parts. Such machine is played to machine the sloy rectilinearly or flate surface for small quantity. For larger quantity, we will use milling machine instead. Planer can be used to machine the horizontal surface, vertical surface, bevels, curved surface, step surface, swallow-tail form surface T type slot, V type slot. And can also be apllied in machining of holes, gears and splines. The machining tolerance can be controlled at IT8- IT7, the surface roughness can be within Ra1.6～6.3μm. Double housing planer can meet Ra0.4～0.8μm.